Italian Mustapha “lasagnaammm” Kanit has done a great job by winning Sunday Million event for $177,229 played on 13th March 2016. 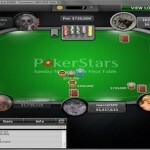 The player defeated XouLio131 of Greece, who got $131,491 as winning share. 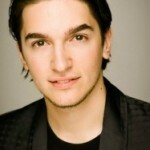 The 24 year old guy is a professional poker player from Italy and has many winnings under his belt. Some of major tournament for him are SCOOP Main event for $1.3 Million, a few EPT High Rollers like Monte Carlo €50k, Barcelona €10k and Dublin €25k and many others. Total earning for the player now exceed to $10 Million, which indeed is a great sign of his success in world poker. The 13th March Sunday Million attracted 5,717 players from across the world and generated a hugh prize pool of $1,143,000. Top 855 Places of the tournament get paid. 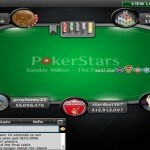 Only nine player has won prestigious Sunday Million twice before kanit. Seat#1,#2 and #3 were for lasagnaaammm of Italy with 14,504,591 chips, anteen of Sweden with 876,643 chips, and goodvibe1 of Germany with 7,708,246 chips. Seat#4,#5,#6 were allotted to Pumpingpoker of Russian with 3,687,804 chips, uknowProsky* of Netherlands with 2,897,137 chips and Beth Abbey of United Kingdom for 6,375,763 chips. Whereas seat#7, #8 and #9 were allotted to players 147_star of United Kingdom(9,422,868), XouLio131 of Greece with 7,278,599 chips and tracedyew of Cyprus with 4,418,349. Three eliminations took place in just five hands after game started. They were of players of uknowProsky* from Nederland got out from the table with $8,918, Russian Pumpingpoker got busted at eighth place for $14,292 and Swedish anteen got eliminated to seventh position for $25,154. Sixth and fifth places were for Beth Abbey of UK for $36,588 and tracedyew got $48,022. Meanwhile another UK’s player named as 147_star took home $64,201 and finished his journey a fourth place. Kanit dominated the three handed games with chip 34,551,451. goodvibe1 went to third place and got winning share of amount $92,615. Heads up round played among seat#1(“lasagnaaammm” with 36,518,554) and seat#8(XouLio131 for 20,651,446 chips). XouLio131 shoved 4♥4♠ Kanit called with J♦J♠ for Board T♦8♠7♣3♣7♦ and won the match.